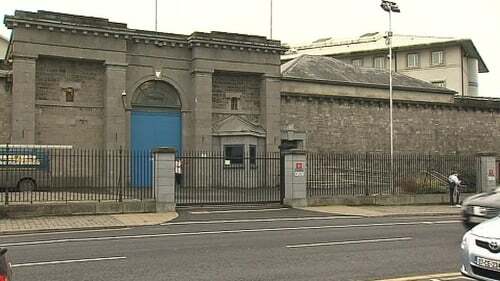 Limerick Prison is described as "dirty and unhygienic"
Minister for Justice, Equality and Defence Alan Shatter, has published a report which is highly critical of conditions inside Limerick Prison. Mr Shatter said he was disappointed that deficiencies previously identified had not been addressed by prison management. Inspector of Prisons Judge Michael Reilly described parts of Limerick Prison as dirty, unhygienic, and severely overcrowded. Judge Reilly also found windows in every cell in Divisions A and B broken and was told the prisoners break them to let the air in. He described this as unacceptable. The majority of the cells were dirty and required painting and refurbishment. He also said the quality of the air in all cells appears totally inadequate and was exacerbated by the smell of sewage. He also said most serious of all prisoners had to share slop out pots and prisoners had to wash their eating utensils in dirty and unhygienic washrooms where sacks of rubbish were left. The continued incarceration of prisoners in these areas is inhuman and degrading. Read Judge Michael Reilly follow-up report here.